Posted in: St. Louis Cardinals. Tagged: Adam Wainwright, Joe Kelly, Matheny, NL Central, Shelby Miller. The Cardinals are 6-7 in the last 13 games and have relinquished the NL Central lead to the surging Pirates. Last night Shelby Miller lasted less than 2 innings and gave up 5 ER and threw 51 pitches in the second inning. Watching it last night one thing became clear: Shelby needs a rest. The Cardinals talked about finding him some extra rest heading into the break. They’re not going to pull a Strasburg here. They just want to be cautious and I agree. I wouldn’t be shocked if Joe Kelly stepped in for a start or two. He deserves it. 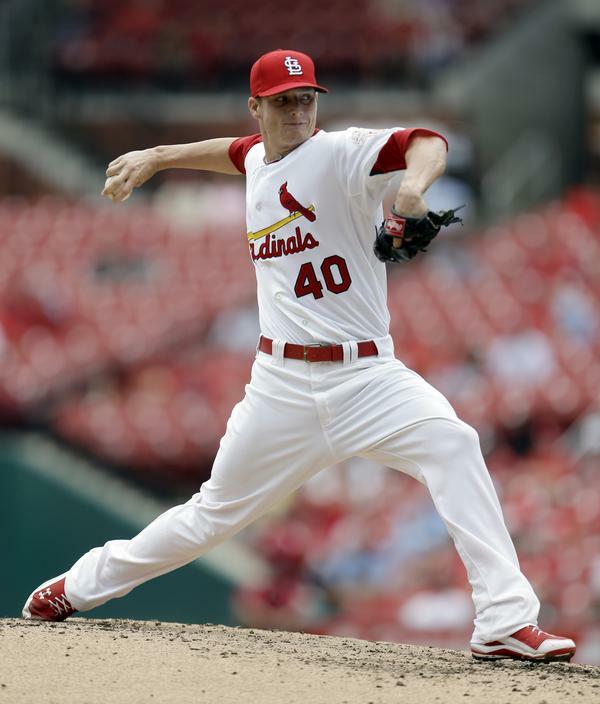 In the last 14 days the Cardinals have an ERA of 3.66, up from 3.29 on the season. The team batting avg is down from .274 to .254 in the last 2 weeks. Cardinal’s starters are striking out 1 less batter per game at 6.9 SO/game. They simple aren’t getting the timely hits with RISP like they were. However the team homerun rate, runs per game, and slugging percentage all remain the same. The pitchers aren’t walking any more than normal at 2.8 BB/per game. Like I said, those critical hits have just been missing in the last few weeks. Part of that is the continuing narrative of the Cardinal’s struggles against LHP. They hold a .237 BA against left handed starters this season. They’ve lost the last 3 games with a LH starter. With the lineup shuffling I worry about the state of this offense as the summer cranks up. Nothing major is jumping from the stats, it’s just baseball and I think fans can stop sweating. Some of it might be focus and we’ll see how Matheny handles it. I have faith. The Cardinals need some momentum as the All-Star break looms, but for now a win from Waino’ will do.